Iñigo Gregorio Bautista is my name. I am the first-born son of my parents Nelson and Didith. I was born in the Philippines, but since June 2009, mom and I have joined Dad in the UAE. I turned 6 this year. I am studying in an Indian-managed school under a British curriculum. Filipino is my first language, English is second. Arabic is being taught in school so I’m slowly learning it too. My father is a nurse and my mother is a civil engineer. We used to live in Antipolo City, but I am a pure Bulakeno. Both of my parents are from Bulacan. We have sold our house in Antipolo last April 2014 and constructed a vacation house in Bulacan, near to our relatives. When I grow up, I will become a loving and God-fearing person. My parents will help me achieve that. So if you are not part of my gang and is not interested with my stuff and came here by accident, it is okay to leave. Otherwise, feel free to move around and I hope you enjoy your visit. Everybody is welcome 🙂 Don’t forget to leave your comments to make your presence here felt. 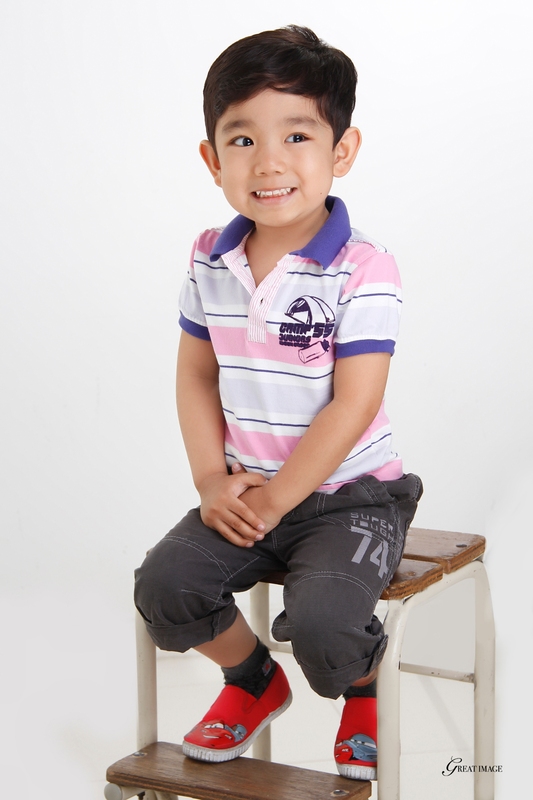 hi inigo ur getting big now what a coincidence i didnt know that you are a bulakenyo as well. i live in malolos bulacan. god bless!!! Hi there, perhaps this isn’t on subject but anyhow, I have been reading about your website online and it looks really neat. impassioned about your authorship. I’m constructing a brand new web log and arduous put to make it seem great, and supply actually good content. I’ve noticed much in your web site and I look forward to more updates and will probably be coming back. Sir, I though your story give some idea for planning of my article. Waiting further blogpost related with topic. Many Thanks. Hi! I just would like to give you a huge thumbs up for the great info you have here on this post. I will be returning to your blog for more soon. Hiya, I am really glad I’ve found this info. Nowadays bloggers publish just about gossips and net and this is really annoying. A good website with exciting content, that’s what I need. Thanks for keeping this website, I’ll be visiting it. Do you do newsletters? Can not find it. Thanks for ones marvelous posting! I actually enjoyed reading it, you can be a great author.I will remember to bookmark your blog and will often come back in the foreseeable future. I want to encourage you to continue your great work, have a nice afternoon! I find this blog very fascinating! Thanks for sharing! More power! Thanks for dropping by, ate! Thanks for a marvelous posting! I truly enjoyed reading it, you might be a great author.I will make sure to bookmark your blog and definitely will come back in the foreseeable future. I want to encourage you to ultimately continue your great job, have a nice morning! Wow, amazing blog layout! How long have you ever been running a blog for? you make running a blog look easy. The entire look of your web site is excellent, as neatly as the content material! I just want to mention I am very new to blogs and definitely enjoyed this web site. Very likely I’m going to bookmark your website . You surely come with perfect writings. Thanks a bunch for revealing your website. What a lovely site for your family and friends back home. Thanks for sharing! Your family picture is wonderful to look at. I wish you, your wife and son all the best for the future. This blog layout is very inspirational.I love it! You have some amazing parents. I am sure you have a great future ahead and lots of fun while you’re growing up. Be a good boy for your parents! I have to say that for the last few of hours i have been hooked by the impressive posts on this blog. Keep up the great work. I have given you the King of Kings Friendship award. Please go to my page here to see what to do. http://workthedream.wordpress.com/2012/03/23/an-unexpected-blessing/ Congratulations. what a wonderful Faith in God you all have. Thank you so much! Deeply appreciated! Thank you so much, Gemma for this award. You are so kind 🙂 Mom and Dad say it’s ok to receive this award. And they also want to say thanks to you. Thanks for the follow on my blog. So nice to meet you and your family. Nice to have you here too, Angeline M! Thank you so much, Lynda! I really appreciate it! Thanks for stopping over, too, LyannV! You have a beautiful and cute face. You have wonderful parents. May God shower on you all his choicest blessings. You will surely become a remarkable person in the future. Our best wishes, Inigo, the sweet child! Hi Inigo (sorry I forgot how to make the enye using a keyboard or if it’s possible in the comments section of a blog). You blog is so refreshing! I found you over at Cee’s Photography. I saw your name and just had to check out your blog. I’ll be following your growing up adventures from now on. Thanks for blessing us in the blogging world. Blessings – Mary (or should that be Tita Mary?? dunno, its up to you if you want to call me that) PS – no pressure or need to follow me back if you feel my blog isn’t your type. No worries there. Thanks, Inigo. Enjoy your day also! This is a happy blog! Thank you for visting mine! Thanks for following my blog, I love seeing your pictures and happy vacations! I just want to say I am just beginner to blogging and site-building and seriously savored this page. Very likely I’m planning to bookmark your blog . You certainly come with superb stories. Thank you for revealing your blog. See you around. Have a great day and a great growing experience! Thanks for stopping by too, (kuya) June. Iñigo! I love you already. You are so adorable! You’re the cutest boy from Phillipines I know. I have a friend from Phillipines and his daughter is not as cute as you are. Thanks for following my blog; and welcome to the UAE. I hope you and your family have a great time here – I’ve been here 5 and a half years and I love it! Hi Uncle Spike! Thanks for the visit! Thanks so much for the blog follow and the like of several of my blog posts. It has led me to your blog, which I am now following. I just love meeting people from all over the world. 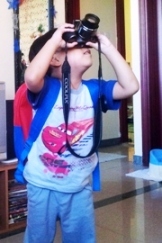 I am learning so much from reading your blog and from looking at your pictures. Thanks for stopping by, too Nancy. You are the cutest little man! My boy is working as a teacher in Kuwait. Small world! Thanks so much for the follow. What a great idea your parents had. I apologize for taking so long to acknowledge your following of my blog, I hope you have found it entertaining. Take care and I look forward to seeing more of the world through your eyes! My young friend, you spent quite a bit of time on my site and I appreciate that, especially all the likes! Thank you so very much! Thanks for stopping by too, Andy! Thank you very much for liking and following my photo blog. I hope you continue to like my photos. I will enjoy exploring your site and reading about you and your family as well. It,s a pleasure to meet you, Inigo! I like this presentation and I will visit your blog. Thank fo following me on D.A. Lavoie…have a great week-end my friend. I’m subscribing too! happy to meet you inigo boy, maligayang pagkakakilanlan. magandang araw. What a wonderful way to show the world that borders need not exist in the hearts of humankind. We’ll have to vote your family the “Poster Family” for the United Nations! You are one of the cutest little kids I’ve ever seen! And so talented! Thanks for following my blog, Iñigo. I look forward to your adventures and life in the UAE. Thank you for stopping by, Angeline! Hey there Iñigo, thank you for your enthusiastic visit to my blogs — I appreciate it very much! 🙂 I’ve been visiting your blog occasionally; hope your adventures never stop! Thanks for visiting too, Anita! Thank you for visiting my blog. You must love animals? Hi Emy, I am with you with your advocacy on animals in captivity. Welcome aboard, Inigo, great to have you along. The Philippines is great for sailing so we may get to your home country one day. You are most welcome to visit the Philippines! Please do visit! Just wonderful to have you following Learning from Dogs. Thank you, and the very best of luck. Thanks for visiting too, Rea!